I’m often asked about tips for group piano teaching, so I decided to enlist the help of my good friend and group piano expert, Paul Myatt, to share his wisdom of years of highly-successful group teaching. Just wait till you read what Paul has to say about the financial benefits of group piano teaching! Paul is founder and director of Forte Music Schools all around Australia and NZ and which are based primarily on the group method. You can find out more about him at the bottom of the post. Over to you, Paul! – Tim Topham. Have you noticed how sport tends to provide an exciting environment for children? Sport, and in particular, children’s sport in most countries of the world, is extremely well organised and social. Did you notice that word, “social”? Humans are inherently social creatures. We desire social contact from a very young age. As piano teachers, let’s learn from the sport experience by creating a fun social environment for learning piano. 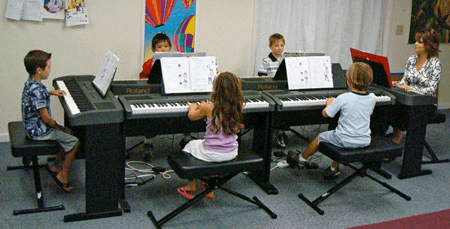 Just like sport, group piano lessons can offer children a very social learning environment as well as other great outcomes for both students and you, the piano teacher. Children nowadays have incredibly full schedules. The options for outside school, childhood activities, have exploded over the last 10-15 years. Ask any parent and they probably have their child enrolled in 3-4 extra-curricula activities every week. Whilst this may be great for a child’s all round education, it often leaves us piano teachers, struggling to get face time and practice time, with and from the child. Teaching group piano is a great way to engage children in a social learning experience that is able to capture both their imagination and their concentration. In this post I’m going to discuss my top 5 secret ingredients for successful group piano teaching. None of them are particularly music related; your success in being a good group piano teacher is all about being a great teacher. Teaching piano in a class or group has many educational benefits as well as significant time and financial advantages for you, as a teacher. Whilst a ‘one to many’ teaching arrangement is considerably more lucrative, educating children in this manner takes significant preparation, planning and importantly the ability to manage a group of children. You can do the mathematics. I could earn around $80-$90/hour teaching a private lesson or I can earn 8 x $25 for a 45 minute lesson which equates to $266 an hour. The financial benefits are obvious, however teaching in groups is not for the feint hearted. You will need loads of patience, lots of preparation, and a belief in yourself that you can confidently stand up and teach a group of children. “How could I cope with all that noise,” I hear you yelling back at me? This is where you will use your teaching skills as a great classroom manager to ensure that children only play when they’re supposed to. Classroom management skills require you to be confident in what you’re saying and doing. Being a well-prepared teacher will make this easy. The second part of good aural skills is singing. Singing is also much easier to accomplish in a class environment. Have you found it incredibly difficult to get boys to sing in front of you? This is significantly easier in a group lesson. I currently teach classes of 6-9 students ranging in age from 4 – 12 year olds (streamed into age groups and abilities), around 120 students each week. As part of my strategy for a well managed classroom I always involve the parents from the first lesson. If children are over 8, I just get the parents to attend the last 15mins of each lesson after the first 10 lessons. They can help ensure the child is using the correct fingers, correct note, on the right page, using the correct hand, etc. Not only that, the parents become involved in the learning process. They become a learning partner with the child. One of my favourite tricks is to move each child to another parent. It’s amazing how a child will perform so much better for a different parent, than his/her own. Not only that, I’ve seen parents who aren’t engaged in their child’s learning however with someone else’s children, they became much more involved. When parents ask their children what they did at school today, they will often receive a blank non-de script answer. It’s often the same with children coming to music lessons. If parents are involved in the learning they tend to be more willing to get the child to practice. How many parents prefer to “pop and drop” their children to a piano lesson or spend the whole lesson catching up on Facebook or computer work? They are not really involved in the learning and if they are not a player, they often are unaware of how to help their child practice. When mums (and dads if they come to lessons) are present and know what’s happening every lesson, they are more willing to make practice time important. I give rewards to students who practice 6 or 7 days each week. Acknowledging all the children who did 6 or 7 days practice in class gives those children a lovely feeling of success. I still find it amazing what some children will do for a “Freddo” (chocolate frog). For those of you who don’t like to offer food as a reward, I understand where you’re coming from, however after 21 years, I’ve only had one mother complain. I tell the parents that they don’t need to give their children treats, leave it to me. Recently one mum, who is a mental health specialist at a local hospital, was telling me that their family had decided to go completely off sugar. She was so happy that I was giving out “Freddos” because once a week her daughter would be able to have a treat that had sugar in it. Her daughter, Gina, practices 6 or 7 days every week without fail. She doesn’t want to miss out on that “Freddo”. Guess what? That girl is achieving really well, playing beautifully. As I say to my students, “It’s amazing what happens when you practice!” The feeling of success and mastery she gets is phenomenal. This probably should have been secret #1! Planning is essential for any teaching, even more so when teaching a group of children. 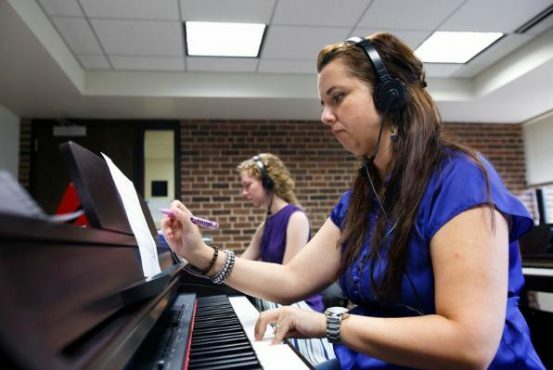 I teach using the Forte School of Music methodology, which provides me with a pedagogically sound curriculum; from beginner to advanced students, and which includes flexible lesson plans and teaching strategies. Unfortunately, these are only available in a Forte school. I would recommend and have used quite a number of other method books over the years as well. Certainly any of the traditional Alfred Basic, Piano Adventures, Bastien, etc would be easy to use in a classroom environment. The key is how you teach the concepts and pieces. 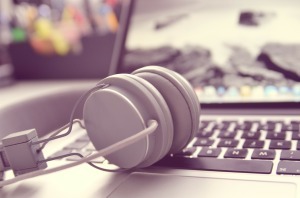 Current learning theories suggest the following process: listening, singing, audiating (playing, internalising or thinking) and improvising, reading and writing. I would teach the students away from the music, F, Eb, Db, C & E (Left Hand) as semibreves (whole notes) and 2 crotchets (1/4 notes) adding the C, C, E, E in the second playing. By doing this, students already have the sound of the music in their head. From there I would give out the music (Daniel has studio licenses so you can print them out for your studio as much as you like – perfect for group teaching) and ask students to identify what they just played. I’d play the track again and get them to point with their RH to the music whilst they played in their left hand. After doing this I’d get them to play the chord shape C, F Ab as preparation to playing the RH. That’s where I’d leave it. I guarantee you the majority of the class would come back next week with the RH learnt. Usually because there is a little bit of friendly competition in the class. As a teacher you can always encourage that as well. You can see the importance of a planning in both of these examples. Planning is essential for successful classroom teaching. Secret #4: Play games and make it fun! Both the examples above can lead to some fun. I find that children learning in a class environment are often spurred on to be more inquisitive learners by the interaction with other children. This gives you, as the teacher, ways playing games and making lessons fun. One of the most basic ways I have found to achieve good behaviour and focussed work in a class is to run a point system during the lesson. Sometimes we play individual points, sometimes we play teams, sometimes we play boys vs girls. I give each child or team 3 points to start the lesson. From there they can earn or loose points. I give out points for technique related things like, curled fingers, playing with the tips of the fingers, feet on the foot stool or floor. I might say, “Well done! Evan just earned a point for the boys, with beautifully curled fingers playing with the tips of his fingers. Who else thinks they will be able to earn a point for their team when we play this time?” You would be amazed at how quickly the children remember these technical concepts through this strategy. Another game I regularly play is to learn one phrase in a piece then move to the next piano in the intervening bars. Take for example, London Bridge. Students might play the first 2 bar phrase then they have to move to the next piano while I play the next two bars and they have to be ready to come in at the correct time. These are just a few of the fun games you can play when you have more than one child in your lesson. One of the best ways to learn and remember something more effectively is to teach it. In younger classes when I have the parents in the lessons, I often ask the children and parents to swap seats. Children then have to teach their mums and dads how to play a song. Not only is this a great exercise for the children to have to explain how to do something they have learnt, parents often find out that learning piano isn’t as easy as they thought! With older children, there are sometimes differing abilities within a class group. When a student is further ahead on a piece, ask them to teach a student who can’t yet play the piece. (This is a time when I would use headphones.) I can then move around the class to help and check each child. For students who are participating in grade exams, we sometimes play Policeman/woman. Students play scales to each other. One student (the policeman) checks to make sure the other is using the correct fingers. Do lots of PD and not just PD around piano teaching. Piano teacher PD is usually around one on one teaching. Try participating in Orff-Schulwerk, Kodaly and Dalcroze seminars, workshops and conferences. 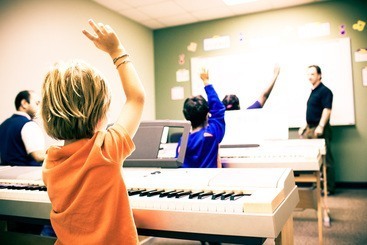 Take the processes they use and modify them to a piano class environment. I would highly recommend the ANCOS (Australian National Conference of Orff-Schulwerk) conference in Hobart in January 2016.
use foot stools for children to put their feet on. Ikea and most $2 Shops have great ones to use. remind children to play with curled fingers and playing with the finger tips. utilise the Lady Bird (or Ladybug for US readers!) for correct hand shape. I know it sounds crass, but we teachers are edutainment! Unfortunately it is a reality. We are salespeople for music education and learning. Our commodity isn’t money, it’s practice. Like a salesman engaging you to spend your money, we are encouraging children to spend their time, practising. Every piano teacher has had that parent come in and say, Johnny isn’t enjoying lessons/practising any more, so we’re finishing at the end of the term. In my experience, if you engage children in practice and reward regular practice in front of the group from the first lesson, you’ll be amazed at how practice can be incorporated easily into a family’s busy life. Want to see how I teach? Feel free to watch a video of me teaching from 2012 below. Five out those six children are still learning with me (the one that dropped-out stopped last year, because, as the youngest child of a large family, the parents sadly just didn’t have the time to commit to making music lessons a priority). Have fun teaching piano in groups. I have been teaching in classes since 1989. When you start teaching in a group, you will find that children love to hear each other play. There are many benefits of learning in a class and playing together. You’ll notice better rhythmic development, the ability to hear and listen better and to play as one, singing. These skills set children up for future instrumental learning in the school band or orchestra as well as accompanying and playing keyboards in a band. Even if you’ve never had the opportunity to play in a band yourself, as a teacher you can give your students a similar experience so that one day they might be able to. Got a question for Paul? We’d love to hear your thoughts on the above article. Do you already teach group piano? Have you got other tips to share? Or would you like to start and need some more help? Please leave your question/comment below. I believe that motivating and inspiring 21st Century music students requires a different approach. Supporting your creativity and helping you grow a thriving studio business is my passion. Effective teaching is about feeling confident, in control and happy that you have the skills and resources available to teach the way you want and that gets the most out of your students. Start teaching more creatively today with a little help from timtopham.com. Repertoire Rap #1: Cool pop music arrangements that actually sound good! Looking for more cool piano stuff? 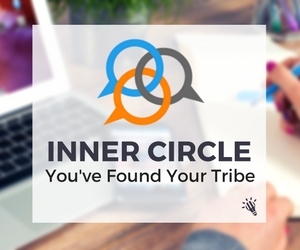 Get connected today and receive instant updates for all new podcasts and posts.